Tropic Mango by Mad Hatter is a perfect vape for those hot summer days when you need to sit back and relax. Bursting with vibrant tropical flavors, Tropic Mango delivers a juicy mango, smooth coconut, and crisp pineapple vaping experience. Shop the entire I Love Salts range here. Bought the 50mg. Yes the mango favour is quite weak. And the after taste is weird. Taste like ammonia, like meth? Not recommended. Instant regret. I got this to full my refillable juul pods and the flavor is extremely weak. It's a good flavor but it's just really mild compared to the ziip pods of similar flavor. The price is good and I may come back to this but I will be trying a different brand next order. The mint flavor is a bit stronger but also pretty weak. It's more like a hint of flavor compared to the ziip pods that are very strong and full flavored. I do like the pull on the 50/50 better than the ziip pods though. It's a fuller draw and although it crackles some, I doesn't gurgle like the ziip pods. I love mango flavors but this one missed the mark for sure. It's got a funny after taste and a bitter taste to start I tried to like it but I just cant. I’m very confused that the 2 other reviews are negative. I get a nice mango flavor with some tropical hints in the background, there isn’t a ton of flavor but it is definitely pleasant. I would get this again for sure. I agree with the other reviewer. Mine has this strange after taste also... almost like butane. I tried it with a new pod in my ininix and also in my nautilis 2 with a new coil just in case my pod was a dud. I even let the coil soak up the juice for 30 minutes before vaping .. but no it really is something wrong with the juice. Really disappointed because I love mangos but I definitely won't buy this juice again. Awful. I got this juice because it sounded great. i dont know if i got a bad batch or something but it taste awful and has a very strong chemical aftertaste. 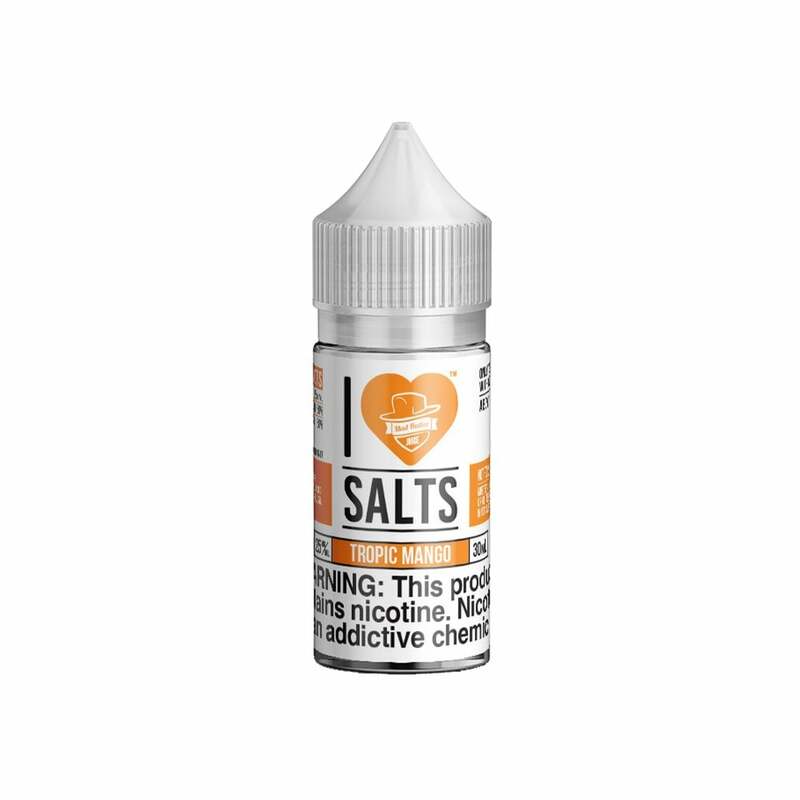 i have been vaping for years and have tried several different mango type nicsalts. I couldn't imagine someone enjoying this flavor.